Lit Up Singapore is an annual international literature festival held in Singapore, organised by Word Forward and The Writers Centre, Singapore Ltd. Founded in 2009, the festival features writers and performers from around the world who come together to celebrate literature, story telling, the spoken word as performance art, and more. 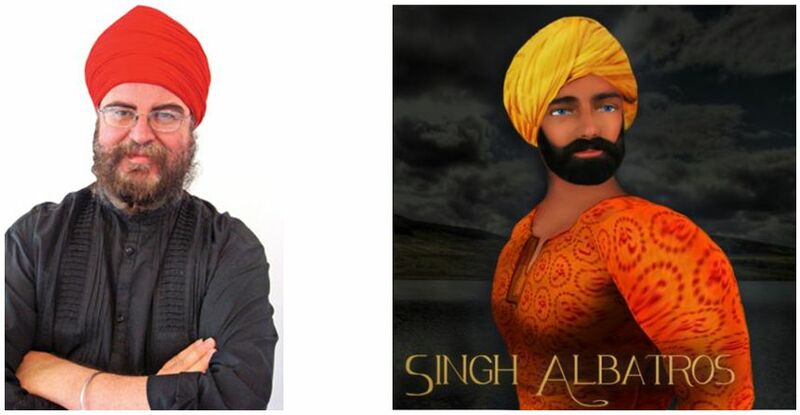 Second Life storyteller Singh Albatros contacted me about Lit Up 2016, which is set to include a unique collaboration between himself and four noted Second Life Machinima makers, something which may open the door for closer ties between The Writers Centre in Singapore and Second Life. Following the successful UWA 3d Art and Machinima Challenge, Pursue Impossible, the organisers of Lit Up have invited the makers of the top three winning machinima films – Kobuk Farshore, Tutsy Navarathna and the team of Lilia Artis and Haveit Neox – to each produce a short machinima film based on Singh’s poems and micro-fictions. “We are delighted the artists have accepted the invitation and commission,” Singh told me. Better known in the physical world as respected storyteller Chris Mooney-Singh, he is the festival’s Artistic Director, and recently his verse novel Foreign Madam and the White Yogi was highly commended in the prestigious Victorian Premier’s Literature Award’s Unpublished Fiction category. “These diversely talented machinima makers have each been offered a commission to create something for a cutting edge live literature digital arts festival in Singapore,” Lit Up’s media contact, Rahimah Rasith, said of the invitation, when announcing the news on December 16th, 2015. If there are sufficient funds available, it is hoped that the festival will be able to fly all four of the machinima artists involved in the collaboration to the 2016 event in November 2016, where they will be able to meet with members of the Writers Centre and with Chris, in addition to seeing their films premiered at the festival and participate in panel discussions on the relationship between virtual art and the physical world. This could be the start of an exciting new collaborative effort between art and media spanning the physical and digital worlds, and I look forward to covering this project, and any developments which spin out from it, in the future. In the meantime, I extend my thanks to Singh for contacting me about the project, and extend my congratulations to the four machinima makers.